One of America’s greatest breweries is coming to the 2018 Windsor Craft Beer Festival. Not only is Founders Brewing Co. participating, they’re bringing one of their “unicorn” beers. Founders will be showcasing their KBS (Kentucky Breakfast Stout) which is an absolute coup for the Windsor Craft Beer Festival. The KBS is known and hunted down across North America upon its release and sells out very quickly. Lineup at Founders Brewing just for the KBS. The brewery even created a week-long celebration, KBS Week, as a result of the beers popularity. 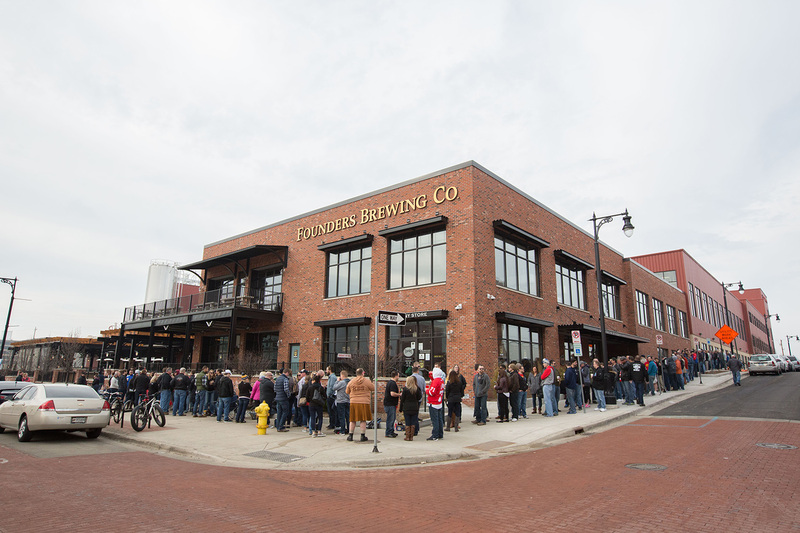 People come from all over and lineup at the brewery just to get their hands on some. While at the 2018 Windsor Craft Beer Festival, Founders Brewing will also be showcasing their All Day IPA, Better Half and Rubeaus. Tickets for the festival are still available but are selling fast. The Windsor Craft Beer Festival has sold out in advance the last two years and are currently selling at a record pace. Check in regularly as we’re releasing all the beers and breweries leading up to the festival.